On behalf of Davao Zone and Davao City, I would like to extend my condolences to the bereaved family of Dolphy. The entire nation has been shocked upon hearing the news of his death. 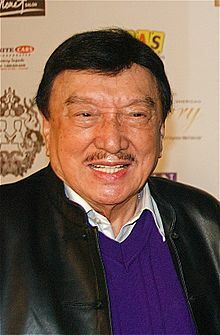 Dolphy was a respected and loved actor and he remained humble despite his rise to stardom. His talent in making the people laugh through his movies and teleseryes was unsurpassed. When it comes to comedy films and tv series, I always love Dolphy’s. I remember his time on John and Marsha and I must admit it was the first comedy sitcom I’d watched when I was little. He was indeed a born comedian. What would the showbiz industry be without Dolphy? Many uprising comedian-actors must have tried to emulate Dolphy but the truth is that there’s only one Comedy King in the Philippines Showbiz . To Dolphy, may God grant you eternal peace. And to his family, may God give them strength to accept his demise and go on with their lives without him.